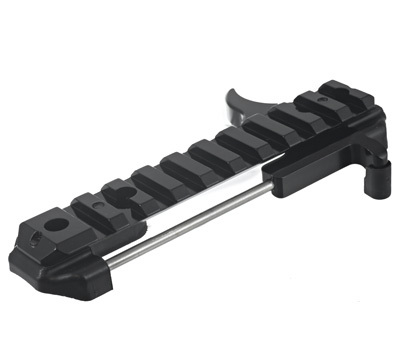 Precision machined Advantage Charging Handle provides Ruger® 10/22® owners with a unique left sided charging handle that actuates (but never interferes with) the right sided charging handle. 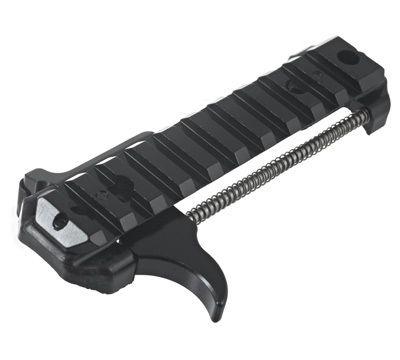 This feature allows shooters, plinkers and competitors to clear jams or charge the bolt without losing trigger or stock position. Picatinny-style mount affixed to top of Charging Handle accommodates virtually any optic. Plastic pads installed on the bottom of the Handle prevent marring of the receiver top. No gunsmithing required - installs quickly and easily using the screws included in the kit. 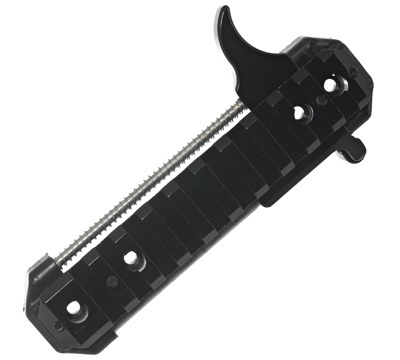 Fits the Ruger® 10/22® and 22 Charger™. Made in the USA by TandemKross. Copyright © 2018 Sturm Ruger & Co., Inc.